There are twelve animal signs or 12 Chinese zodiac signs in Chinese Astrology. Each of us was born with an animal sign. Before going into the animal sign luck 2018 prediction parts, a very important Chinese Astrology concept needs to remember. Animal sign of a person is calculated by the year of birth. However, the animal sign does not calculate from the first day of the Chinese New Year to the next Chinese New Year. The correct animal sign calculation method is that the new animal sign of each year starts at the time of Lichun – the “Start of Spring”. It normally falls on the western calendar on the 3rd, 4th or 5th February each year. This year, the Chinese New Year is on the 16th February. If a baby was born on any time from 0530 on the 4th February to 15th February 2018. 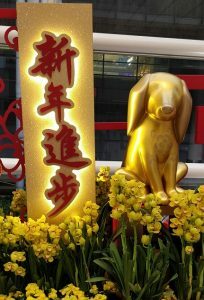 Even though those days are before the Chinese New Year, the correct animal sign is Dog. 0530 on the 4th February is the point of Lichun for 2018, the year of the Dog has begun. Once again, remember the date passes the point of LiChun, the new animal sign starts. A FULL Chinese Astrology reading examines NOT only the year of birth (the Animla Sign) but also the birth month, the birth day and the birth hour together. By incorporating with the Luck and yearly pillars, A Chinese Astrologer can see a picture of your destiny from your birth data. By just using the animal signs or Chinese zodiac signs, it is difficult to completely and fully predict just on how each year will affect each individual at a very details level. It is because such animal sign astrology is only examined 25% (1/4 the year of birth) and in some cases 37.5% of the four pillars’ natal chart by adding the birth into calculation. For more reliable assessment in all aspects of your life in year of the Yang Earth Dog 2018, I recommend that you have your Bazi chart read by a reputable Chinese Astrologer. Based on the Heavenly Stem and Earthly Branch 2018 year of the Dog, so the animal signs the Dragon, Dog itself, Ox and Goat affected the most by the Yang Earth Dog. The Heavenly Stem of 2018 is Yang Earth (Wu戊). The Earthly Branch underneath is Yang Earth Xu (戌). Animal sign is Dog with hidden elements of Yin Metal and Yin Fire. Both Stem and the Branch are Earth Elements. These four animal sings must be more flexible when dealing with the others. As Earth element means trust, believes, principals, and stubbornness. With the stubbornness it may cause a lot conflicts, arguments with others. So be more open minded to discuss with your spouse, partners, managers, bosses and colleagues and be open minded to listen to the others’ opinions. Animal sign luck 2018, if you are born in 1967, 1976,1985,1994,1943,2003,1952,2012 should avoid going to the hospitals, funerals, or watching the onsite burial. For female Dragon, Dog, Ox and Goat (age 18 – 45) if giving birth in 2018 around or after your birthday will reduce a lot of bad energy and troublesome for you in the year of Yang Earth Dog. Do more exercises and make sure there is sweating for every exercise. Be more active and think positively. Go out and see more people and make friends. Be more generous to others. Donation of blood or having a blood test done in April and October will help reduce bad energy too. Be nice to your parents, the in-laws or other elderly, even telephone them more often will bring you better luck in the year of Yang Earth Dog. The following is a guide for each animal sign and their luck 2018 in the year of the Dog. It is a guide only. For more accurate reading, please seek professional Chinese Astrology expert for your yearly readings. So what is the year of the Yang Earth Dog Animal sign luck 2018 hold for you? It is a busy and pressure year. Bad gossip will be around. A moody year for the Dog. Boss will watch closely at you if you were born in 1982 Yang Water Dog year and 1994 Yang Wood Dog year. However, 1994 Dog has good wealth. Do not be too stubborn to insist your own principals. Do not argue with colleagues, particularly your supervisors or the bosses. Be open-minded, positive and flexible. Eat less meat AND deep fried food. There are a few bad stars for the animal signs Dogs too. So be careful of your Stomach. There may be minor injury in April or October. So go to donate blood or see your dentist in those two months. The Dragon clashes with the year of the Dog. So beware of lawsuit but it is good if you are a lawyer. Control yourself and be calm as your work or study will bring you distress. Changes is coming for the Dragons, like career change, job change, position shuffle, school change, moving house or long period of traveling. 1952 and 1964 born Dragons has the hardest clash. Use your money wisely and carefully. As there is “Da Ho” or “Big spending” Star for the Dragons. It is wise to buy something which can become more valuable in couple of years’ time. Avoid high risk investments and gambling. Don’t lend your hard earn money to others. Good to spend for renovation of your home or office. Beware of contract terms if contract need to be signed. For Dragon born in 2000, be very carefully when driving after obtain your driving license. As the Dragon it clashes with the year of the Dog. Clashes easily cause traffic accidents, especially for people who have dark and broken left eye-brow. It looks like this one. It is also a travelling year for the Dragon. And it is advice that to avoid going to the west northwest direction. The west northwest direction is home to the Dog (The Grand Duke) which will increase the level of the clash for the Dragon. Earth element clashes with earth element bring stomach issue and muscle ache and pain. Make sure you have plenty of rest and do more exercises and meditations. Blood tests in mid-April and visit your dentist in mid-October or vice versa. Avoid icy cold, hot and spicy food. The Ox will be easily punished by their superiors or by the Law. Be very careful on what to say in public especially in July. Easily break the rules, like traffic rules and get penalty and fine. Beware of smear or slander and implicated by others. Luckily, there are few good Stars, including “TaiYin” or “The Moon”, it means you get a lot of help from your female boss. Or a female person can help you. Ox, Dog and Goat are all earth animals. The Earth elements penalty can bring unknown reason of muscle or stomach ache and pain. 7th July to 6th August 2018 is the most critical period. Plan a short trip and spend some money or donation of blood may help. Watch your diets in the year of the Dog. Avoid Hot and Spice food. Wealth: Average but Good for 1973 born Ox. The Goat will be easily punished by their superiors or by the Law. Be very careful on what to say in public especially in Jan 2019. 5th January to 4th February 2019 is the most critical period. Plan a short trip and spend some money or donation of blood may help. An elderly person in the family may have ill-health. Wealth: Average but Good for 1955 born Goat. The worries and agonies from last year slowly disappear. Much stable work starts from the second half of the year. If there is an opportunity for you to become self-employ, take it up. It is a good second half year for the self-employ Rat. A sudden business trip or personal travels in April or August. Wealth: Good if you are self-employ. Particularly benefits 1984 Rat. Someone from higher level comes to help the tiger because they have a Star called “San Tai” or “Three Towers”. The Tai Sui or yearly King supports the Tiger. The “San Tai” nobleman also brings good financial benefit to the Tiger. There are also good opportunities to start business in partnership. It also benefits to those work in sales area. They meet a lot of new clients and sales target. March 2018 is a good month for all the Tigers. Wealth: Excellent. It is exceptionally good for 1974 born Tiger. The bad gossips, clashes and troubles (including health issues) are fading away slowly and will be completely gone from your birth month in 2018. There is still some minor spending to come for the Rabbit. The Rabbit and the Dog are friends. The Yearly King is going to look after the Rabbit. New joint ventures, new partners can be set up. Very good wealth year if you work in the entertainment industry. There are two romance stars in the Rabbit’s Palace. Romance is looking good in the year of the Dog. Health issue: Arms, legs, liver and back. Wealth: Good. Better if work in the entertainment industry. All your hard work from the year of the Rooster will be paid off in the year of Dog. You mood becomes much more relax in year of the Dog. Your people luck increase. You will get to know more people. There is a romance star for the snake. This means you have chances of meeting your other half or if you are in a relationship, the wedding bell is near. Another lucky star “Ziwei” will bring in an award for those works in the education sector. Health issue: respiratory system, lung. Wealth: Good, 1965 born snake even better. Too many romance stars in the year of the rooster. The misunderstanding in the romance matter will soon disappear. The relationship will be stable in the year of the Dog. Your confidence returns. There is a “General Star” for the Horse, this star can improve your situation and bring good reputation and fame. On the other hand, there are bad stars called “White Tiger” (白虎), “Yang Yin” (Sharp Knife) in the Horse’s palace. “White Tiger” and “Sharpe knife” are bad stars. They may bring blood, cut, wound or medical operation or caesarean section for female Horse if giving birth in the year of the Dog. Health issue: Eyes, hearts, blood pressure. It is a busy year for the monkey. The “Travelling Horse” (驛馬) comes into the Monkey’s palace. It brings change to the Monkey, such as moving to a new place or changing career to a different industry. There are opportunities of traveling for personal reasons and work related business trip. 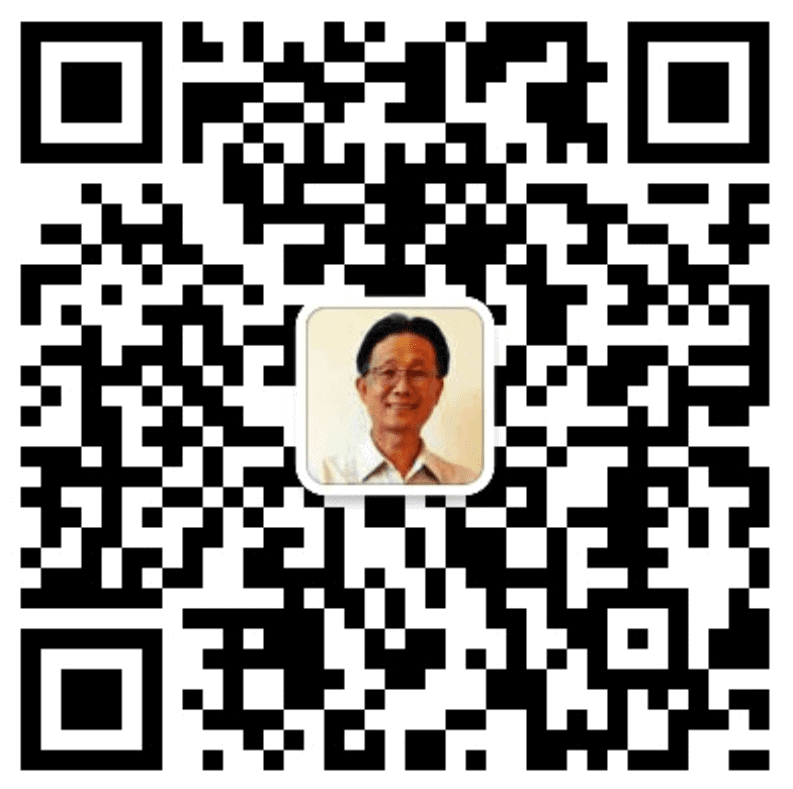 An elderly person of the family has health problem, may even pass away. You may need to travel to attend a funeral. Health: Respiratory system, lung and throat. Wealth: Good for those in sales and travelling industries. Excellent for 1968 born Monkey. Major health issues, love agony and relationship problems will slowly stabilize from now to your birthday. The Rooster has no lucky star in the palace. So Rooster still need to work extra hard. As Rooster has the “Harm” relationship with the Dog (the Yearly king), Meaning you must pay attention to your behaviours. Think before you leap. Do not leave any opportunity for people to “Harm” you. If you have a male boss, it will be a bit easy to work with. Health: Lung, respiratory systems large intestine. The “Travelling Horse” (驛馬) is in the Pig’s palace last year made them travel a lot. In the year of the Dog, things will be settled down. There is a very lucky star “Tin Hei” or “Heaven Happiness” in the Pig’s palace. It symbolizes wedding or giving birth. It is almost the last chance for the Pigs who are over 40 years old. There is another lucky star “Tai Yang” or “The Sun” meaning a high level powerful male person will look after you. 1995 born pig can get a job or change job easily. Health: excretion system, kidneys, urethra, prostate gland for male, bladders etc. Wealth: Good, Better if you were born in 1971. Edgar possesses a great wealth of knowledge and teaches it in a clear and precise manner so that it benefits people at beginner, intermediate or advanced levels.